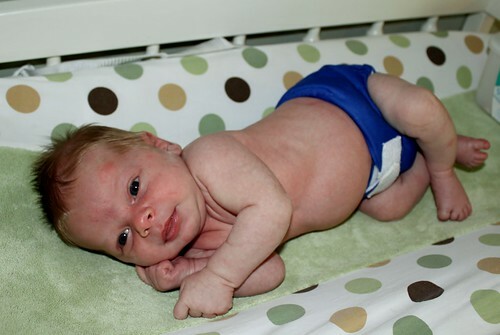 Today was Judah's first day in cloth diapers! I was so excited to be able to start him in them this early, thanks to my sister who handed down a few of her smaller cloth diapers for me to use. Doesn't he look handsome? 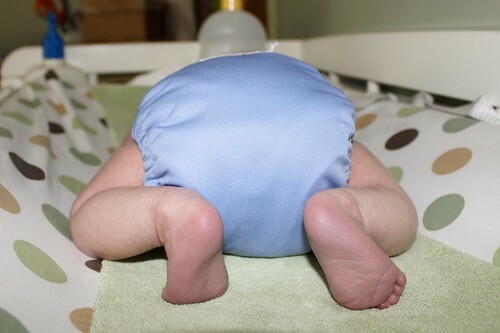 If you know any cloth diapering mamas, you know that we can be a little obsessive about our love of cloth. Sam certainly thought I had lost my mind when I suggested that we bring cloth diapers with us on all our upcoming vacations. What can I say? It's somehow just so satisfying to be able to decorate and celebrate an area of parenting that is, in all other aspects, quite tedious and honestly downright nasty too. In a way, isn't that what being a mom is all about?